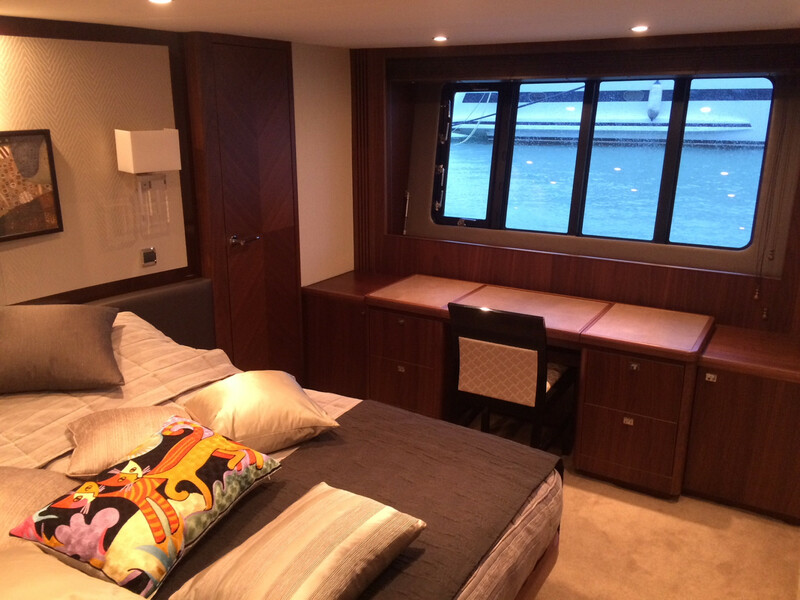 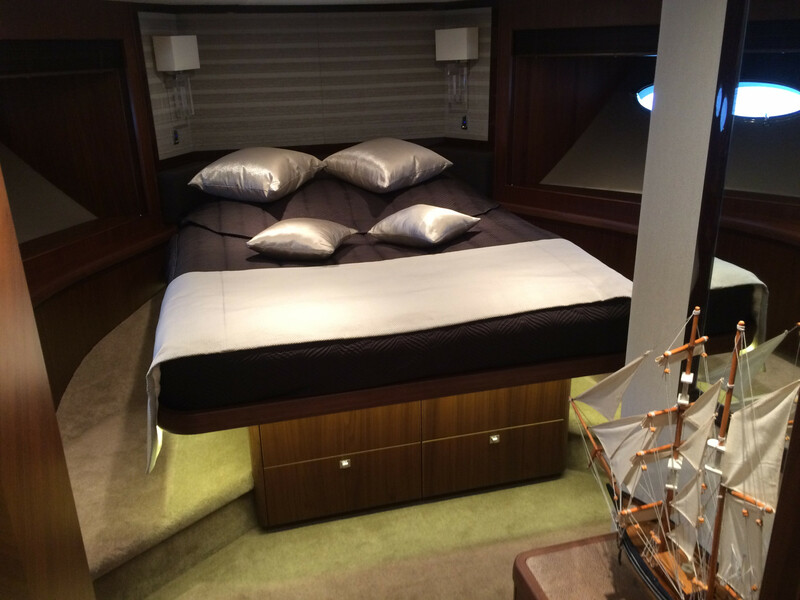 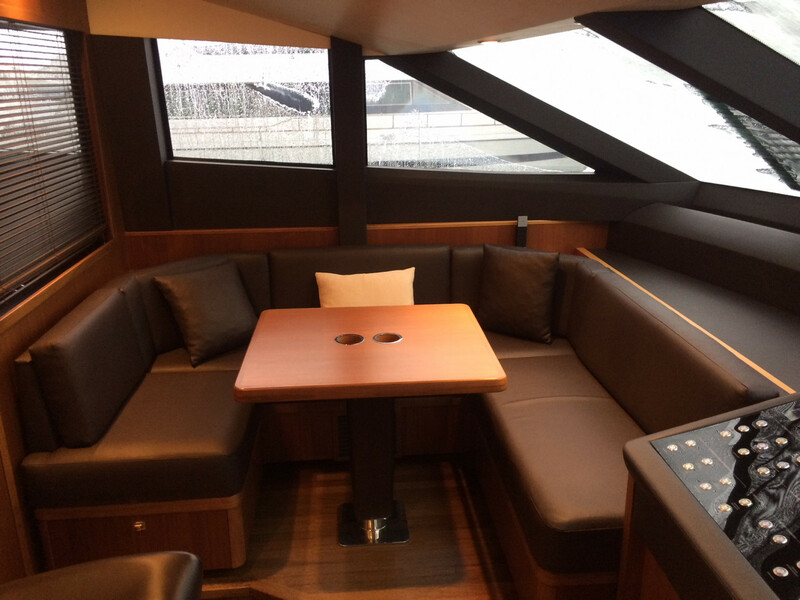 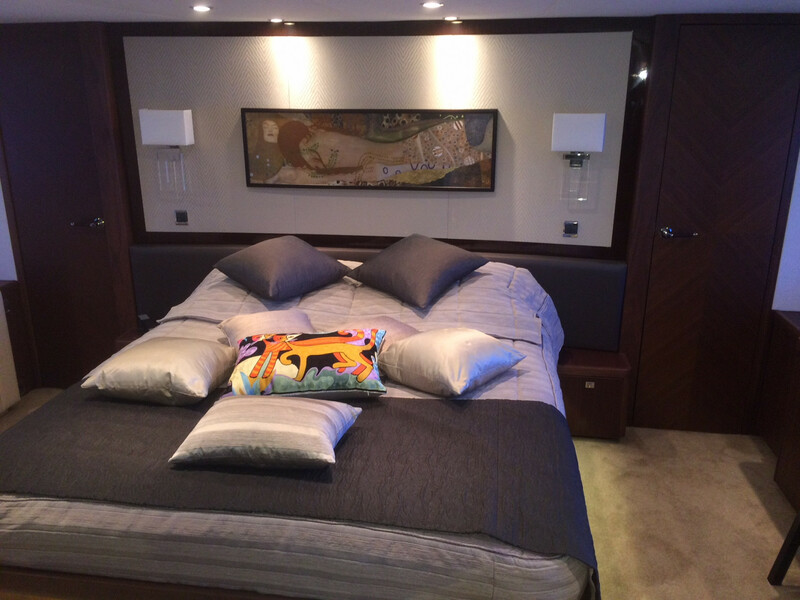 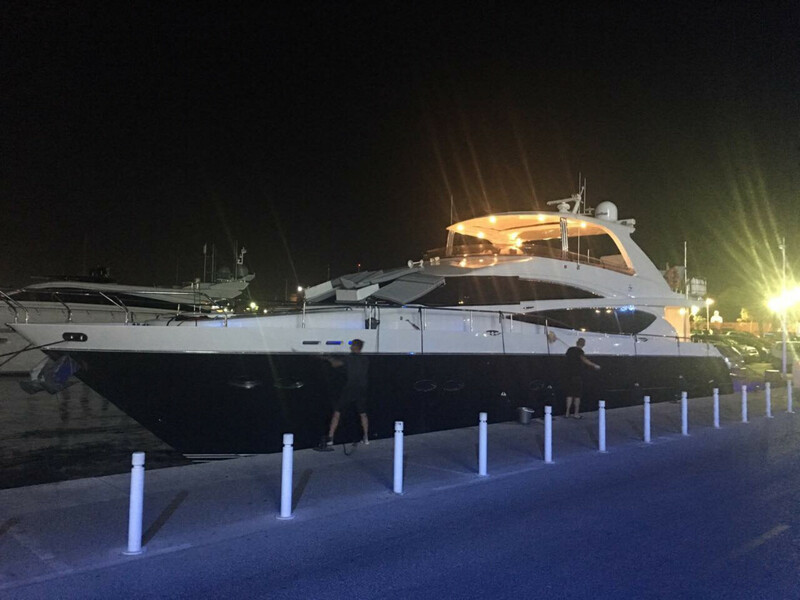 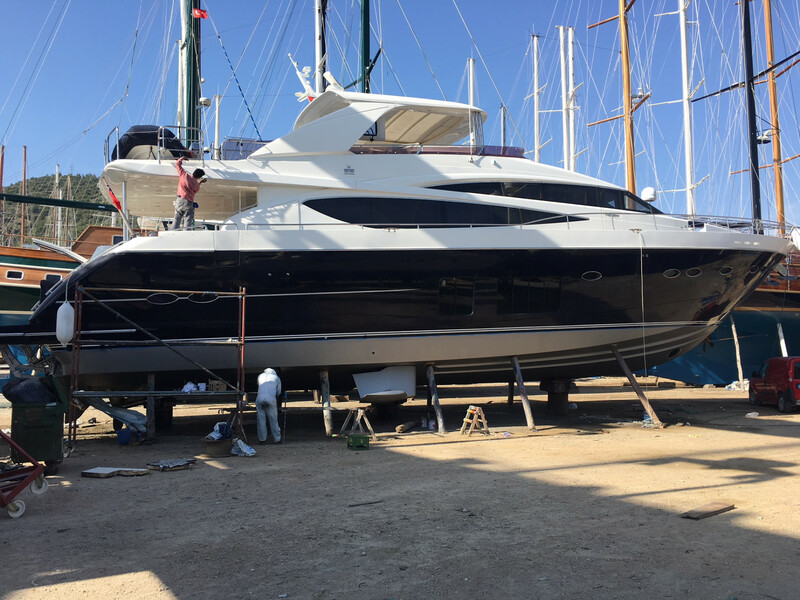 This superb Princess 85 Flybridge was built in 2012 with an Armani design interior for her first owner who barely used her. 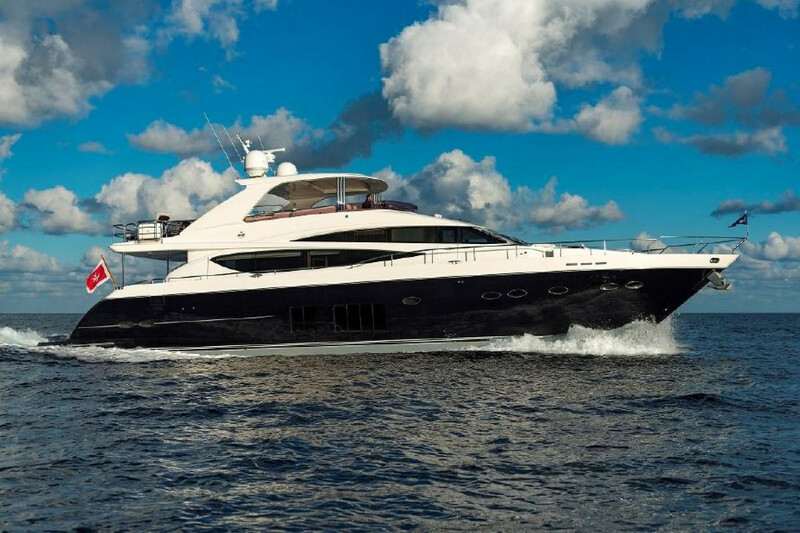 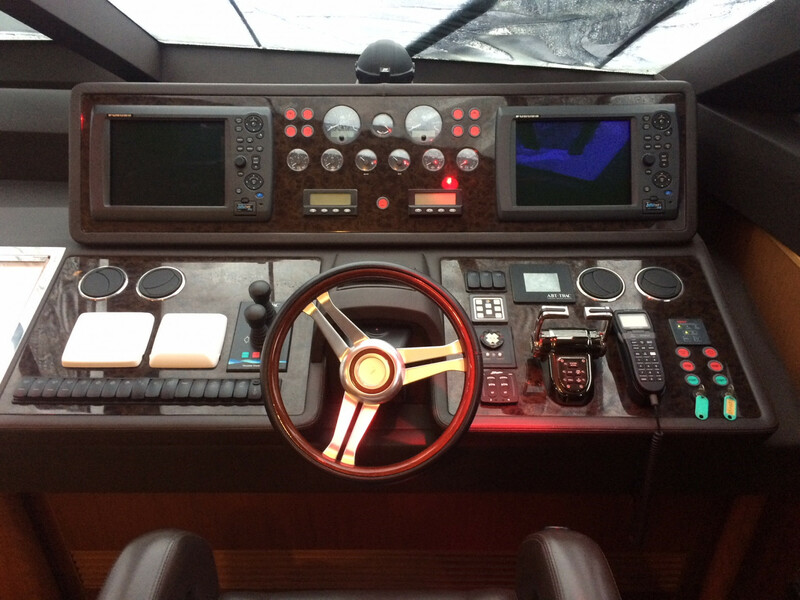 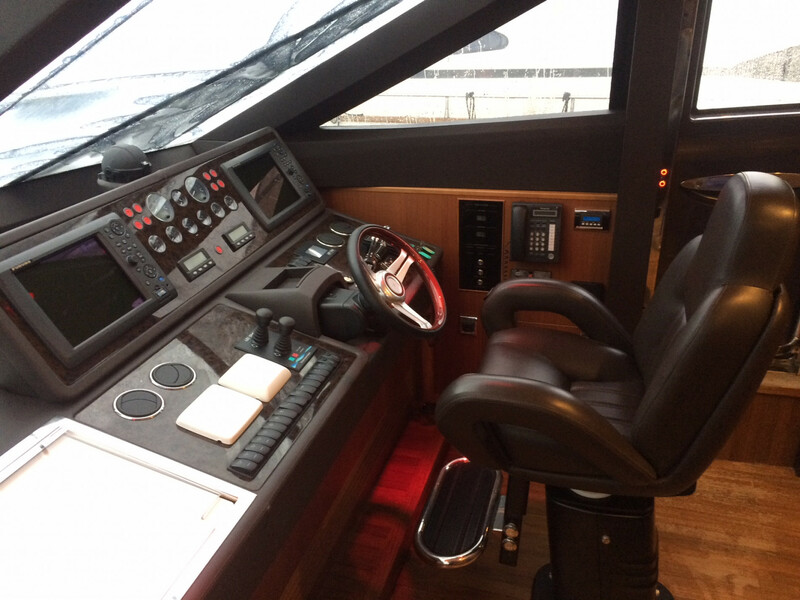 She is equipped with an hydraulic swimming platform which holds the tender, zero speed stabilisers, thrusters and a hard top on the sundeck with electrical skylight. 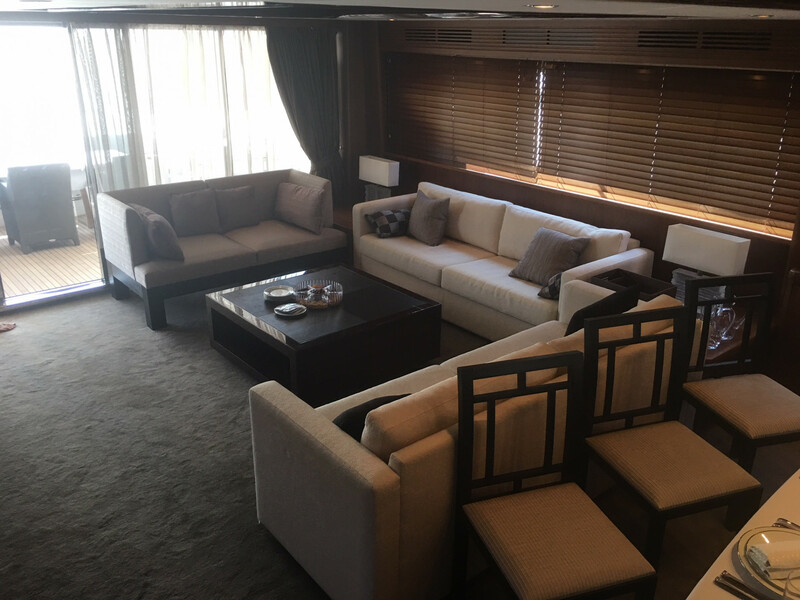 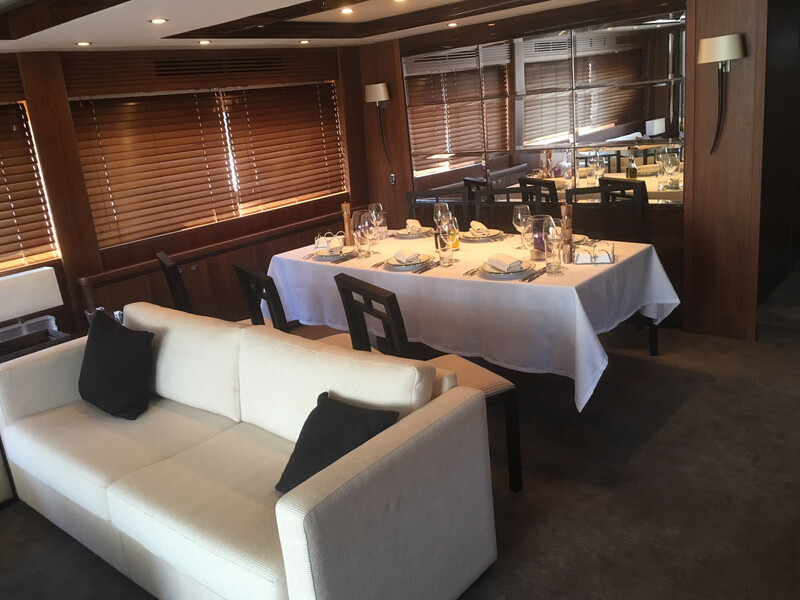 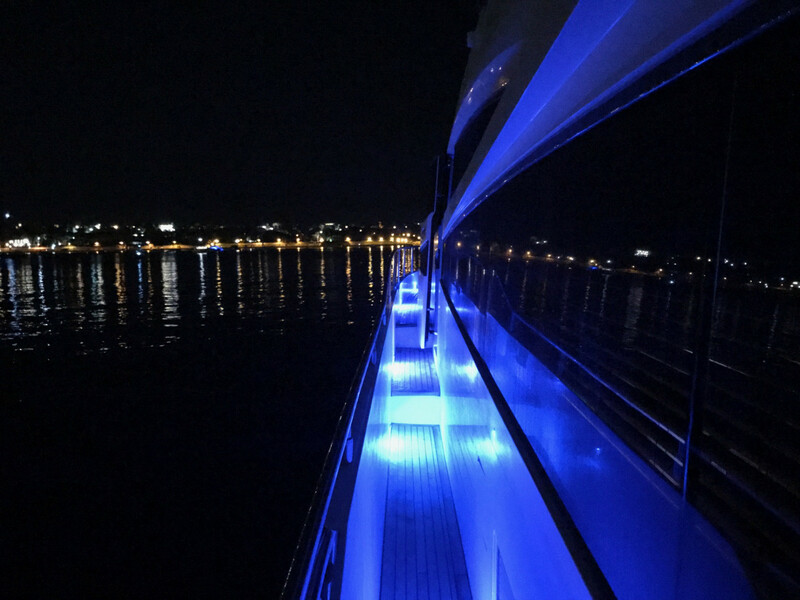 Her modern and cosy interior was designed by Armani an offers accommodation for 8 guests in 4 cabins including a full beam Master and a VIP. 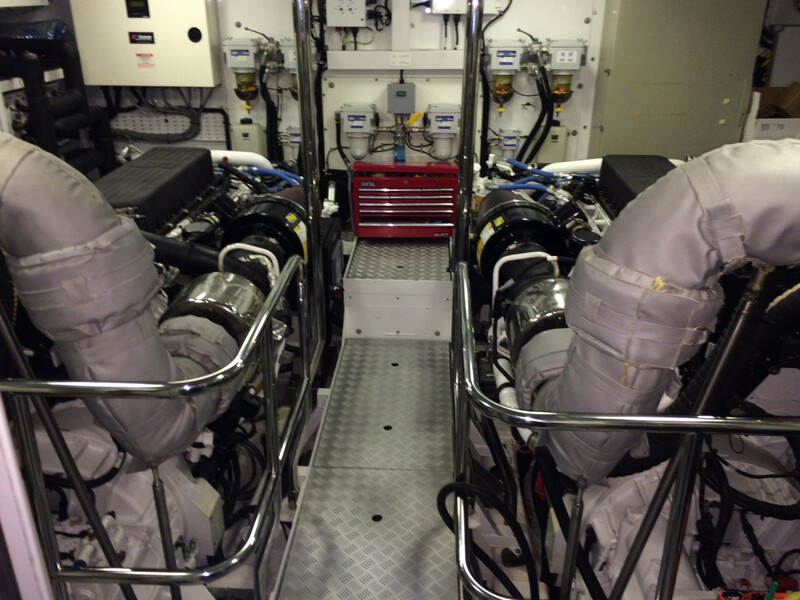 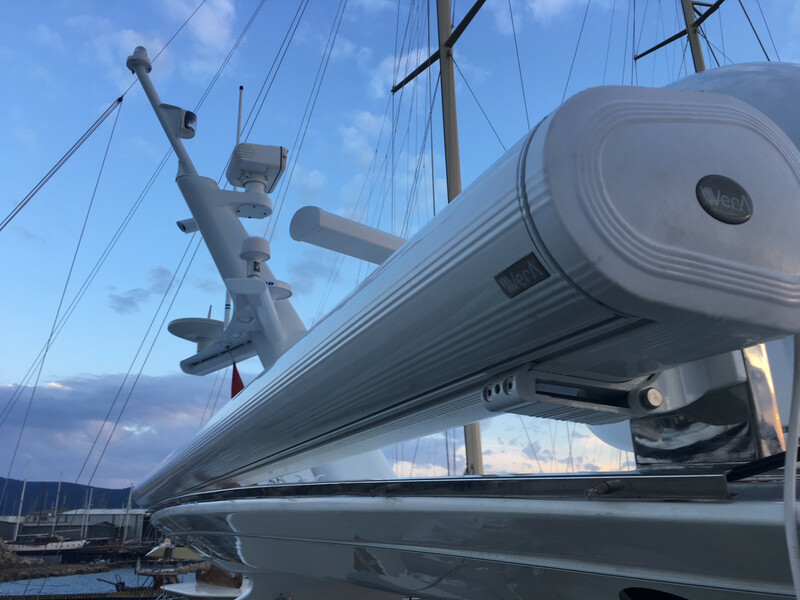 Her 2 Caterpillar engines are in perfect conditions with only 648 hours and allow the yacht to cruise at 18 to 20 Knots and reach a top speed of 28 Knots.